Hi, wear it Wednesday Fashionistas! 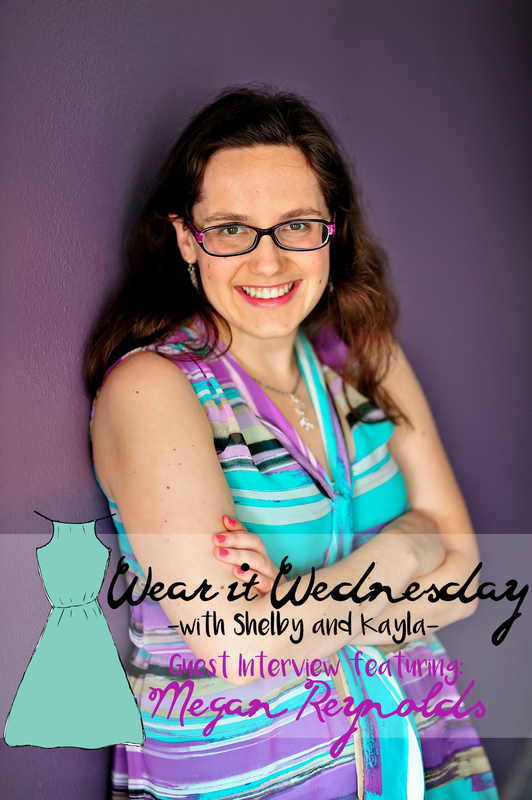 I (Adventurous Shelby) am so excited today because Kayla and I are starting a new series within Wear It Wednesday, interviewing style bloggers + fashion forward friends that embody our favorite fashion ideals, read our mission statement! 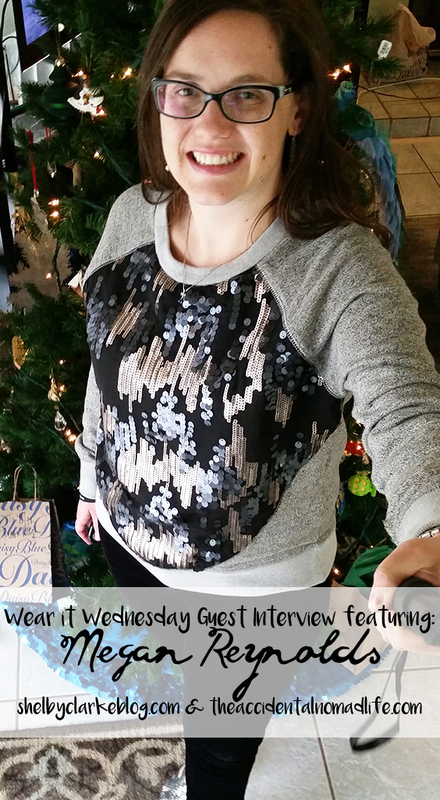 And to start us off, we interviewed Megan of Flawed Perfection Jewelry and a fellow Stitch Fix Stylist! Megan, we've (Shelby here!) 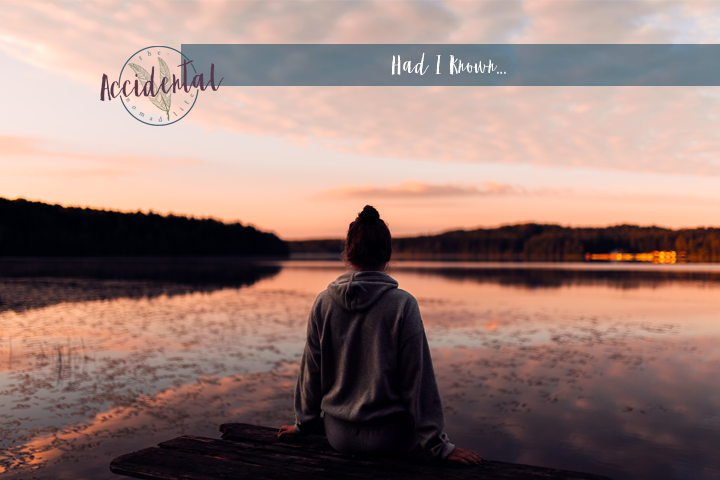 been online friends for several years, let's start by telling our readers a little bit about yourself! I’m LOVING the floral trend! I’ve always been a fan of most floral patterns, but I’m drooling over all the florals I’m seeing right now in dresses, blouses, skirts, and bags. So, what do you think about the 2016 Pantone Colors of the year? Oh, I’m so excited for them! I had a feeling pastels were going to be big for spring, so I was anxiously awaiting the color of the year announcement. I love blue and pink together and I love the story behind the colors choices too. Preppy meets casual chic. I love me some stripes and florals and bright colors, but I like to throw in some distressed denim, a cargo vest or denim jacket, or flowy tees. Megan, what do you splurge on? Leather handbags. All the way. Not really. I like to break fashion rules ;) Mostly just go with what makes you feel confident! A real leather jacket (not in my budget yet!). I’ve always loved InStyle, even when I was a girl dreaming of being a fashion designer. InStyle feels bright, colorful, and for real, everyday women more than other fashion magazines. Outerwear. Jackets, cardigans, vests, Evy’s Tree hoodies etc. My cargo vests from my recent Fixes from Stitch Fix. I've always loved fashion and knew that I wanted to do something creative with my career. 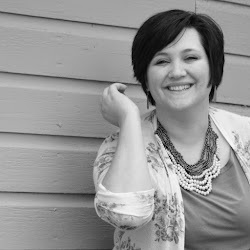 When it came to being a stylist, my then-boyfriend said I needed to look at other work for our life plan (at that moment)...but, then we broke up. I found my calling with styling though and I could see my career in fashion coming together :) God always has a plan, right? And how has fashion impacted your life for the better? Fashion has given me a way to express myself and find confidence in my personality. I know now I can say so much with my clothes and style. As for my job, I've learned that a perfect pair of jeans or the right flirty dress can make someone feel more confident and pulled-together than ever before. When I have a great outfit on, I just feel better and more equipped to take on the world (or just my day)! Do you believe fashion can be a source of body positivity? Why or why not? YES. 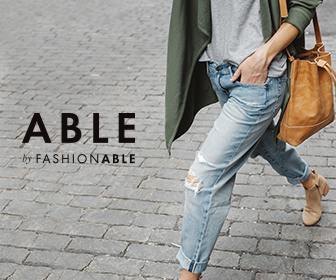 From my job, I've learned that a perfect pair of jeans or the right flirty dress can make someone feel more confident and pulled-together than ever before. Often times, women dislike their bodies because they were wearing ill-fitting clothes. When they get the right items for their body, they feel even more confident. Jewelry: You're a jewelry designer too and we had to ask a few things! Out of curiosity, how far in advance do you design pieces for a new season? I usually am thinking about 3 to 6 months ahead, but I also plan things out farther in my head. Where does your inspiration for Flawed Perfection Jewelry come from? Most of my inspiration comes from color combos and shapes that are organic and from nature. My customers crave simple designs that have wearable, everyday sparkle, so I find my inspiration comes from real women and everyday fashion, instead of the runways. Is it hard to manage your time working for Stitch Fix and running your own jewelry business? It can be a challenge to balance, but I usually keep things organized by sticking to a schedule and routine. I get up and style on my computer all morning. Then, I take a little break for lunch and getting ready for the day. I go to nanny every afternoon and then work on most Flawed Perfection Jewelry stuff in the evening and on the weekend. How do you keep them from interfering professionally? Since this is a blog, we love to share your online places! Where can our readers find you? Lastly, what is your favorite form of social media? We want to say a BIG thank you to Megan for agreeing to be interviewed! 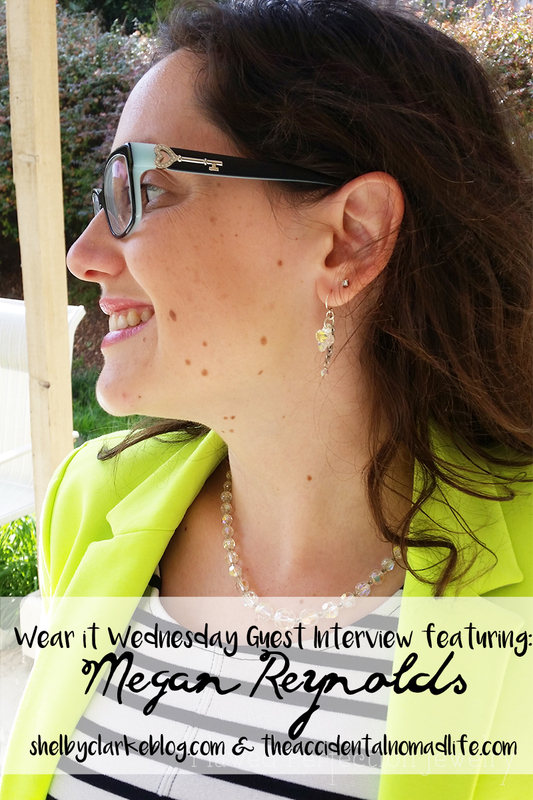 If you have a fashion blog or would like to contribute to the Wear It Wednesday Interview Series, drop us an email @ wearitwednesday(at)gmail.com!